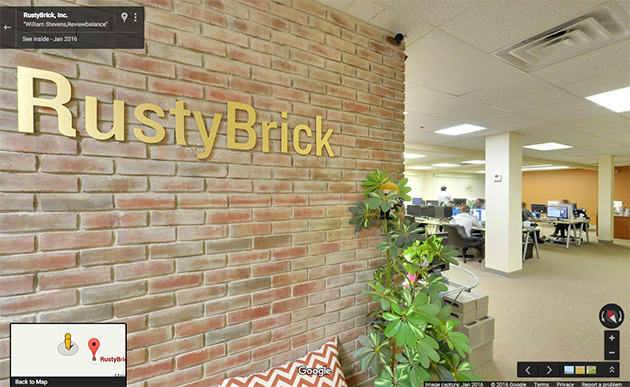 I am very excited to say we, RustyBrick, is on Inside Street View within Google Maps. 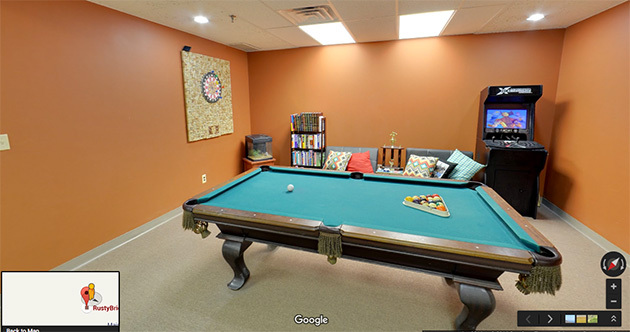 That means that you can walk through our front door and into our office, explore our main programmer pit, our gaming area, our conference room and even our brick wall - all virtually on Google Maps. I accidently hired a Google Street View Trusted Photographer (through my Google bug testing adventures), the one I hired was pretty local named Review Balance and he was cool to talk to us about the process, the hardware and so on. 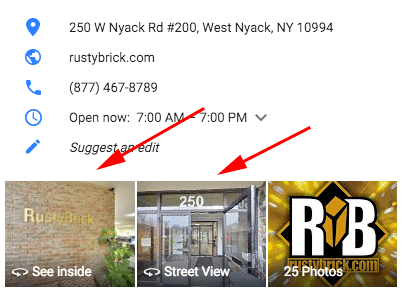 So now when you Google us in main search or in Google Maps, you will see options to view inside our office or the street view of the building's front door and walk up to our business suite. You can then walk through the various areas of the main office. 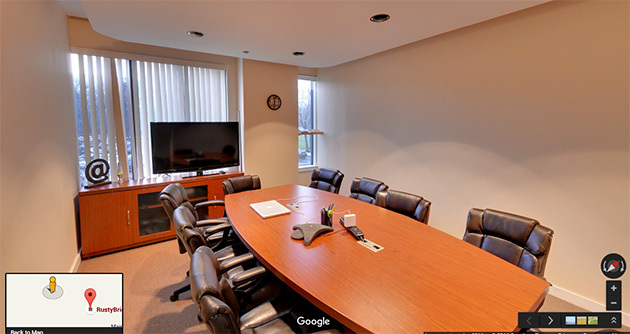 You can also walk through the Street View area which takes you from outside the building and steps you into our office. Which is pretty neat. 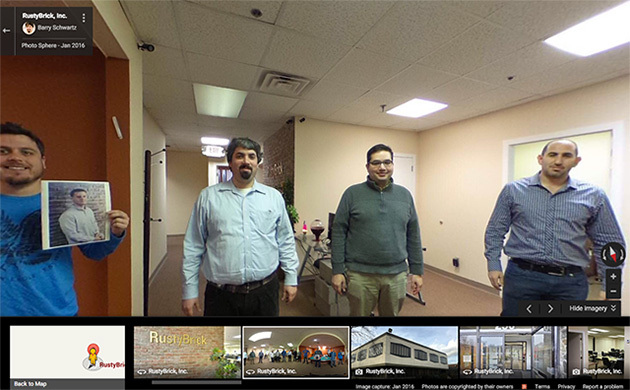 Finally, the street view guy also took a cool photosphere of some of our team in the office standing around the camera in a circle. We were missing (it was the holiday week, so many were off) about seven people from the team, so we printed out the faces of three of the seven faces and held them up. 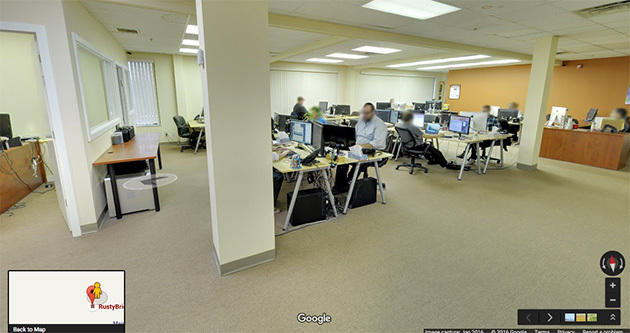 You can see the full photosphere in Google Maps over here and spin it around with your finger or mouse. 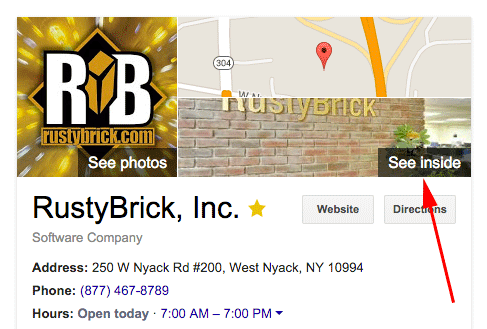 Again, you can access it when you Google us in main search or in Google Maps.